While Europe remained mired in the long Middle Ages and had forgotten much of the knowledge of classical Greece and Rome, in the 9th century the Islamic world was enjoying an age of splendour. During this period, the knowledge of the Greek, Indian and Persian civilisations was brought together at the House of Wisdom in Baghdad. 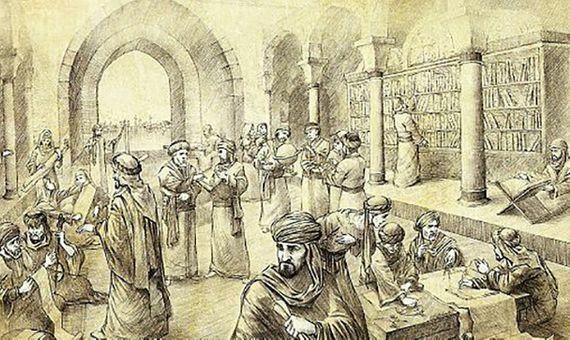 A scholar was based there, who began compiling and translating the great mathematical works that had emerged over centuries and centuries, and succeeded in expanding them creating a new branch of mathematics: algebra. His new algebraic methods are the basis on which we solve equations, even today, and we have also incorporated the words algorithm and algorism into our modern language, which derive directly from his name: al-Khwarizmi. His name is also the origin of guarismo, a Spanish word meaning “digit”. His work was the ultimate bridge for the numbers we use today to reach the West, originating in India. Following the emergence of Islam in the 7th century on the Arabian Peninsula, and its subsequent rapid expansion, Baghdad became one of the most prosperous cities in the world, housing an academy of arts and science, a library and an astronomical observatory. The heir of Athens and Alexandria, this city gathered countless books from rich and diverse cultures. More than ever, the court in Baghdad needed translators able to understand everything written on those pages. One of them was Abu Abdallah Muḥammad ibn Mūsā al-Khwārizmī, better known as al-Khwarizmi, who we know lived between the years 780 and 850. Steeped in the mathematical knowledge of different civilisations, this author —about whose life few details are known— wrote more than a dozen books on arithmetic, geography and astronomy. In his treatise The Compendious Book on Calculation by Completion and Balancing (in Arabic: al-ğabr wa’l muqābala), Al-Khwarizmi made for the first time a thorough study of the solving of equations, which multiplied the ability of mathematics —and the sciences that use them— to solve problems. The word al-ğabr refers to the restoration of the balance of an equation by the transposition of terms, by adding to one side of an equation a term that is subtracted from the other. For example: the equation 5x2–40x+7=15 is equivalent to 5x2+7=40x+15. The term al-muqābala expresses the compensation or reduction of terms of the same degree that appear on both sides of an equation. In the same example above: the equation 5x2+7=40x+15 is equivalent to 5x2=40x+8. Al-Khwarizmi’s book contained three parts: the first dealt with the resolution of equations of the first and second degree, the second examined problems of geometry and the third resolved questions related to wills and inheritances. 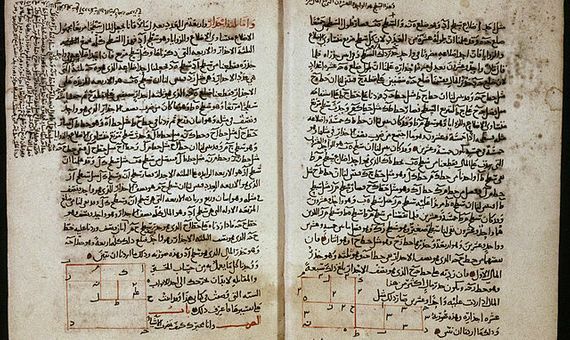 In the 12th century, this treatise of al-Khwarizmi was translated into Latin on the Iberian Peninsula, where the word al-ğabr became the word algebra to designate the balancing of terms in an equation, although at first its meaning was limited to the medical sphere. For example, in the second part of The Ingenious Hidalgo of Don Quixote of La Mancha, Miguel de Cervantes wrote about an algebraist who was in charge of restoring a man with several of his bones broken in a fight. From shortly after its Latin translation, the writings of al-Khwarizmi about algebra served as a textbook in Europe for the study of the science of solving equations, which were the strands of a new discipline of mathematics that continues to unfold today. 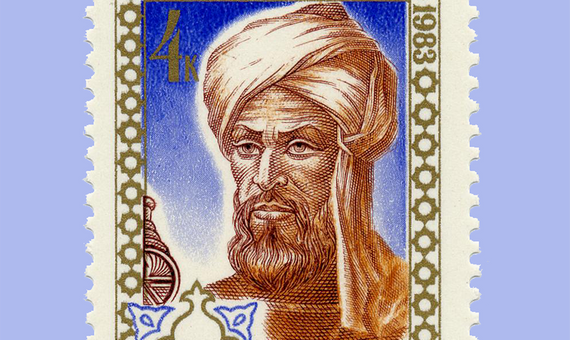 Another of the most important works of al-Khwarizmi, whose original title was possibly The Book of Addition and Subtraction According to the Hindu Calculation, allowed the introduction into Europe (along with the help of Fibonacci) of the decimal positional numbering system —which allows us to write any number using only the digits 0, 1, 2, 3, 4, 5, 6, 7, 8 and 9— which is the system we continue to use today. The only copy of that text to survive is a Latin version from the 12th century, which its translators titled Algoritmi on the numbers of the Indians. In that work, al-Khwarizmi made such a complete presentation of the Indian numbering system that it generated the mistaken idea that our current numbering system was of Arab origin. The new system ended up being known as al-Khwarizmi, which was distorted after multiple translations into algorism, meaning the decimal number system, and algorithm, a word that began to be associated only with the different rules of calculation that could be made with those new numbers. So, for example, when we learn to divide in school, the steps we follow form an algorithm. This word ended up having a much broader meaning, to designate any operational procedure that generates, step by step, the solution to a problem that cannot be otherwise solved. The words inherited from the name of this prolific Arab author did not end here. As mentioned earlier, guarismo, derived directly from al-Khwarizmi, assumed the meaning of digit or numerical figure, although only in Spanish. In his roughly 70 years of life, al-Khwarizmi also found time to participate in the first sky-gazing meetings from the Shammasiya Observatory in Baghdad. He wrote a treatise on astronomy, based on the works of the Indian sages, which had as its main objective the calculation of the positions of the Sun, the Moon and the planets. Al-Khwarizmi’s ideas in this field survived until they were replaced during the Renaissance by the heliocentric ideas of Copernicus. 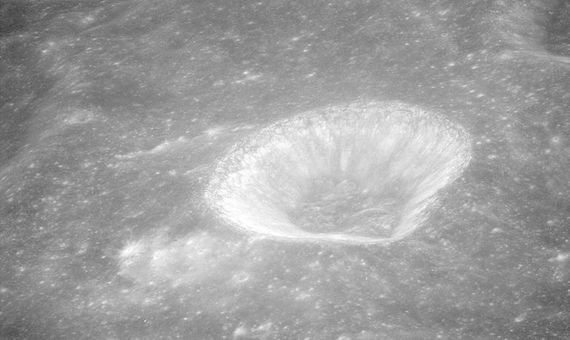 Even so, on the far side of the Moon a crater marks his name, and in the distant asteroid belt the celestial body 13498 also carries it, in honour of one of the scientists who most revolutionised mathematics.